The Cavaliers had zero interest in prolonging what’s seemed to be inevitable since Game 1 here, if not since Game 1 of the regular season. They were going to win the Eastern Conference Finals, and they didn’t want to have to go back to Cleveland to do it—and no one seemed to feel that more strongly than LeBron James. 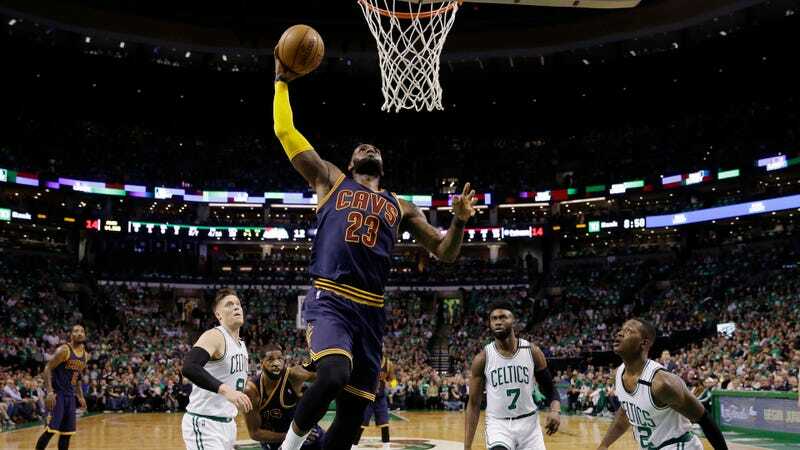 The Cavs jumped out to a quick lead over the Celtics and never handed it back. Up 43-27 at the end of the first quarter, they put together the highest scoring playoff first half in more than a decade as they headed to the locker room with a 75-57 lead. The night was a highlight reel for LeBron, Kyrie Irving and company—with a prominent supporting role for, uh, Deron Williams—and the Celtics didn’t have anything to stop it. By the second half, about the only suspense laid in when James would break Michael Jordan’s record for playoff points at 5,987. 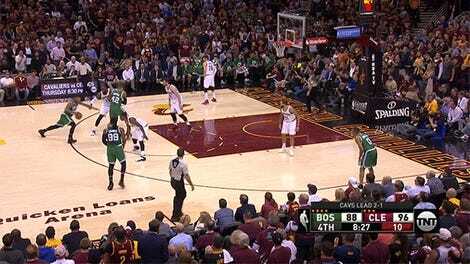 The answer was in the closing minutes of the third, with a three that extended the Cavs’ lead to 32. He finished the quarter with 35 points, eight rebounds and eight assists, and didn’t come out for the fourth. This was a bloodbath, but they mercifully disposed of whatever hopes Boston had pretty quickly. The NBA Finals start June 1.